The Proust Questionnaire, popularized by the French essayist and novelist Marcel Proust, is said to reveal a person’s true nature through a series of probing, soul-searching questions. 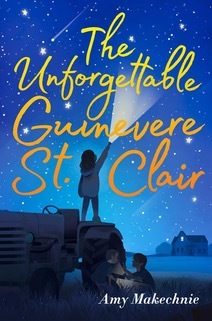 In the hot seat today: Amy Makechnie, author of the MG debut, THE UNFORGETTABLE GUINEVERE ST. CLAIR (S&S, 2018). What is your idea of perfect happiness? An early morning run and a solid, productive hour of writing before the house is awake, giving me peace of mind to spend a day at the ocean body surfing (warm water only!) with my family. Oh, and Johnson’s ice cream at the end. What is your greatest fear? That I don’t live to reach my potential in any arena, most especially motherhood and writing. And then I die with regret on my deathbed. I’m actively working on not letting that happen. What is the trait you most deplore in others? Unkindness. I really really REALLY deplore it. I can easily be very disagreeable if I see meanness. Which living person do you most admire? My husband. He lives with absolute integrity – and often comes across as disagreeable. I love him for it. What is your greatest extravagance? Whenever I finish a manuscript, I tell myself that I will get a massage, which I consider extravagant. You know what usually happens? I move the marker: “I’ll get a massage when the next round of edits is done.” This is very wrong. I will schedule it today. Or tomorrow. What is your current state of mind? Excited. I’m writing a new book that I’m totally jazzed about and haven’t gotten to the hard part yet so life is good. Also, it’s snowing buckets! What do you consider the most overrated virtue? Productivity. More naps, please. Ironically, sleep makes me much more productive. On what occasion do you lie? I will stay silent rather than risk hurting your feelings. I’m also prone to selective hearing to avoid a confrontation or to tell you how I really feel. Which words or phrases do you most overuse? My son says it’s “Vitamin D” and “Mindset!” (possibly true), but hey, it is winter in New England. This is far better than my previous vocabulary favorites, “like” and “awesome.” Ugh. Besides writing, which talent would you most like to have? I’d really like to belt it out on stage. I’d be an awe-inspiring, female anthem rockstar like Katy Perry or Alicia Keys or Lady Gaga and just knock it out of the park. What do you consider your greatest achievement? My four children. Recently I posted a hilarious throwback video of them being really naughty from about five years ago. Oh, we have come so far. They are all tremendous human beings who’ve made my entire existence. What is your most treasured possession? My family picture albums. I used to be really into scrapbooking. All of those hours spent cutting and gluing is worth it when I see my children cooing over their own childhood. What do you regard as the lowest depth of misery? Ignoring the divine gift of our conscience. I don’t think anything gives us greater angst than acting in a way that is contrary to what we know is right and wrong. What do you most value in your friends? I love the give and take of friendship. My friends inspire and push me to be better in every way – physically, intellectually, spiritually; I hope I do the same for them. Also, I love to laugh. That’s a great friend trait. Who is your hero of fiction? I used to adore Scarlett O’Hara because of her grit, great beauty, and persuasive powers. But in the end she really was a selfish creature. I’ve come to value the quiet strength of the overshadowed Melly Hamilton. Which historical figure do you most identify with? I identify with strong pioneer women due to my roots and religious heritage. Emma Smith comes to mind, a woman who endured tremendous hardship but had incredible faith and conviction – her history is fascinating and I am in awe of her. AMY MAKECHNIE is author of the middle-grade novel, The Unforgettable Guinevere St. Clair, described as “rich and complex, filled with extraordinary characters and gorgeous writing,” by the San Francisco Book Review, and “a sort of Harriet the Spy and To Kill a Mockingbird mashup” by The Deseret News. 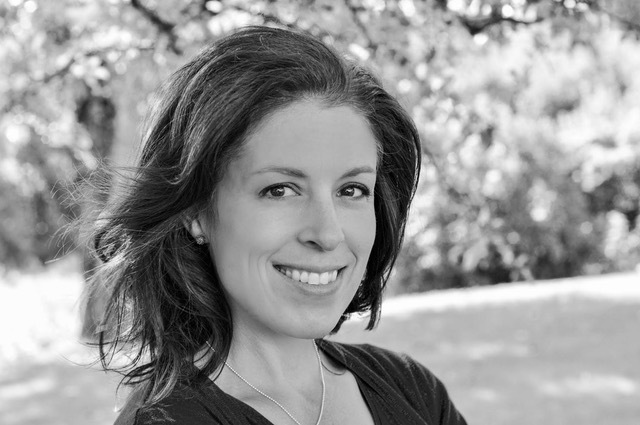 While not working on her next manuscript, Amy nurtures her long-held fascination with the brain and human body by teaching anatomy and physiology to high school students in a small New England town. She is the mother to a wily flock of children, all of whom provide daily inspiration for writing. Learn more about Amy on her website and follow her on Twitter and Instagram.